The move toward the use of organic products in farming is on the rise. One of the best ways to boost plant growth and generate higher yields is with compost tea. When combined with the application of an organic compost mulch layer prior to planting and adding cover crops, this natural liquid fertilizer is perfect for revitalizing soil while building structure. 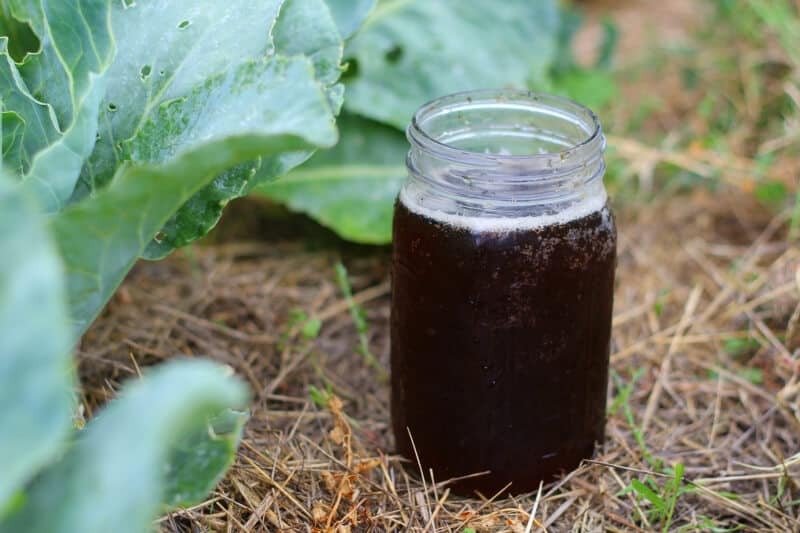 Compost tea is one of the top contenders in soil supplements today because it is a home-brewed, all-natural, healthy alternative to traditional fertilizers. Using the extract made from decomposed compost is a centuries-old practice. On a farm, it is often created by piling chicken and cow manure, coffee grounds, vegetable scraps, grass clippings, and everything else that is natural in a large pile that decays over time. When combined with water, the compost becomes a black liquid that smells like cookies, hence the name compost tea. By adding the substance to plants during the first half of the growing season, foliage is fed through the roots as well as leaves without fear of damage. Additionally, many home-brewers are finding that plant-related diseases are reduced. 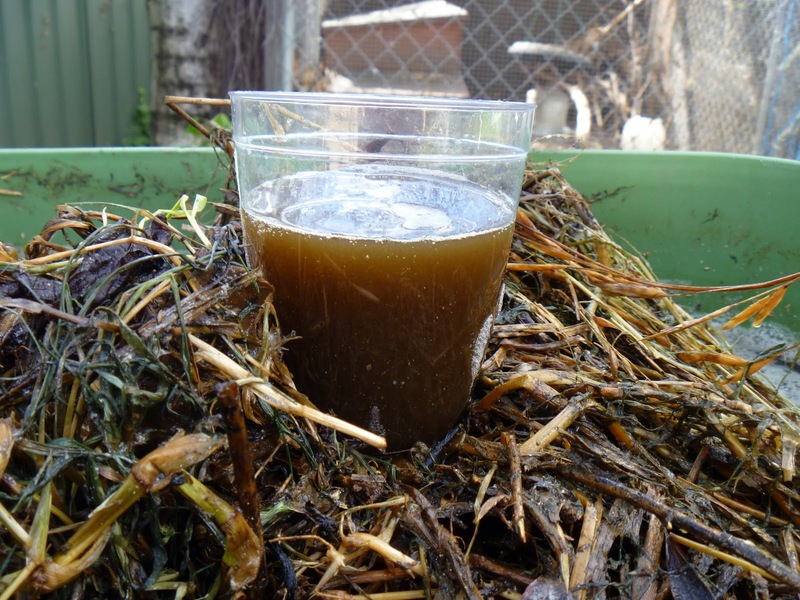 For farmers seeking alternative all-natural products, compost tea is a great option. Although compost tea is now being manufactured and is available in many farm stores and garden centers, it is one of the easiest and efficient natural fertilizers to make at home. There are several compost tea recipes. The following, however, is one of the least complicated and fastest to make. stir stick or garden shovel. strainer, burlap, or mesh screen. 1. Shovel organic material from the bottom of the compost pile into a 5-gallon bucket until it is about 1/3 full. The compost at the bottom of the pile is more decomposed than that on top and, therefore, is teeming with beneficial microorganisms that improve plant health. Some people also add sugar or molasses to the mixture in order to increase the absorption of organisms into the water. 2. Fill the bucket to within one inch from the top with well water. If using city water, allow it to sit in the sun for a couple of days first to ensure the chlorine has dissipated then add the water to the compost mixture. 3. Stir the mixture with a strong stir stick or garden shovel until thoroughly mixed and place the bucket in a shady area outside. 4. For the next 5 to 7 days stir the mixture several times a day. The stirring aerates the water and releases additional nutrients into the water. An alternative is to attach an aquarium pump to the bucket. The continual bubbling action increases potency and only takes 2 days instead of 7 to process. 5. Strain the mixture through mesh, a strainer, or burlap at the end of the 7 day period. Many home brewers prefer a special 5-quart stainless steel strainer because it fits perfectly into a 5-gallon bucket. 6. 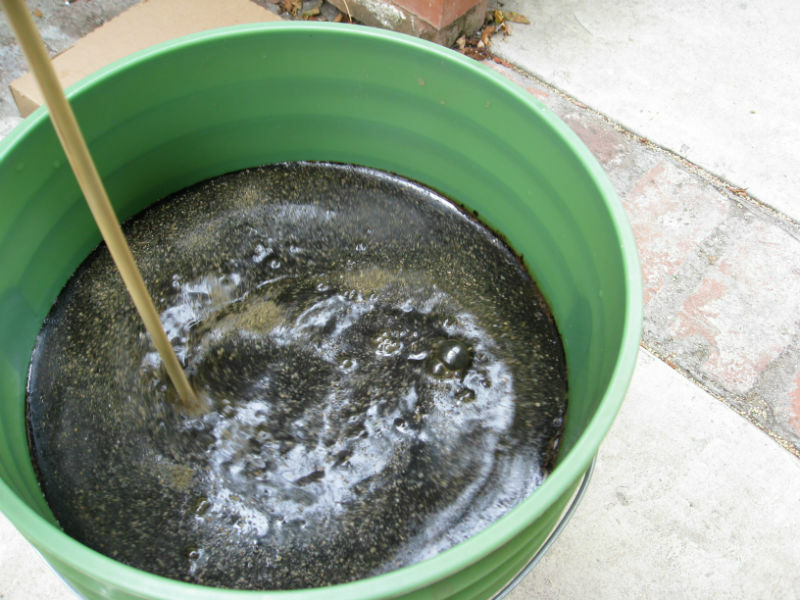 The compost tea is the liquid that is left after straining and should be stored in an air-tight container in order to ensure nutrient levels remain high. Once plants have become established (usually within 5 to 7 days of transplant or the appearance of sprouts), compost tea can be sprayed directly on foliage every two weeks. Using a watering can for smaller projects or a garden sprayer for larger areas will ensure minerals and nutrients are absorbed through plant roots and leaves at the maximum rate possible. The root zone should be soaked and the foliage itself should be lightly sprayed. Be sure to complete all work early in the day as excessive heat from the sun can create a reaction in the liquid that can burn the leaves. Additionally, compost tea only needs to be used for about 1/2 of the growing season as continual use will encourage plants to create thicker foliage while reducing production. Some people claim that compost tea reduces disease. Research shows, however, that as far as landscaping and turf goes, there is no direct correlation between use of aerated compost tea and disease control. On the other hand, experiments conducted in laboratory settings did reveal that compost tea reduced some diseases especially in plants that produce food. Certainty is still limited due to the fact that the science behind the efficacy of compost tea use is very young. As such, much of the information available comes from individuals that are actually using the product with many stating that they are seeing amazing results. There are several advantages to using compost tea as opposed to traditionally manufactured fertilizer. It contains small amounts or even lacks nitrates and phosphates entirely. It can also clean contaminated soil and allows individuals to gain a competitive edge since it is an organic product and is inexpensive to make. Best of all, it improves retention of moisture in the soil and allows farmers to proactively address plant health while balancing the soil food web. It’s important to note that there are also a couple of disadvantages that can affect the outcome. First of all, results can be inconsistent depending on the quality and composition of the compost used. If the only things placed in the compost pile during a set period are grass cuttings, the results will be very different than if you add household table scraps the next time. It also takes time to make each 5-gallon batch and longevity of the product is limited. To grow and sustain healthy plants, the right biology is required. Regardless of whether you’re starting with potting mix, hydroponics medium or just the soil on your property, it’s not uncommon to find it lacks the healthy organisms required to ensure lush plants and a healthy harvest. With the lack of scientific research, however, it’s important that individuals utilizing compost tea share their experiences with others through website posts. Hopefully, with enough information, scientists can catch up with increased interest in using the product. Hey Buddy!, I found this information for you: "What Is Compost Tea and How to Use It on Your Plants". Here is the website link: https://backtofarm.com/compost-tea/. Thank you.